All comments will be reviewed, and a written response to each comment will be posted on the organization’s website following the consultation. The second draft of the indicators will be released for a 30-day public comment period in mid-2016. Page Stuart, a cattle feeder and the Past Chair of the Alberta Cattle Feeders’ Association, and Tim Hardman, Beef Director with the World Wildlife Fund, co-chaired the committee that developed the indicators. “The committee members brought a wide range of perspectives to the table. We had very productive discussions and unanimously reached consensus. Our goal was to identify draft indicators that are robust and outcome-based, which I believe we have done,” says Hardman. “We wanted to have a balance—something realistic for producers that also meets the needs of retailers, food service providers and consumers. I think we have achieved that. I look forward to the feedback we receive over the next 60 days,” adds Stuart. 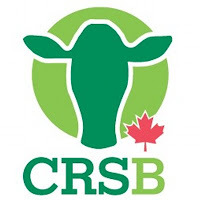 The CRSB is a multi-stakeholder initiative developed to advance sustainability efforts within the industry.. It has defined “sustainable beef” and is rapidly setting the framework for stakeholders to be able to produce and source verified sustainable beef. The public consultation will take place from February 9 to April 10, 2016; the materials and instructions for comment can be found here.